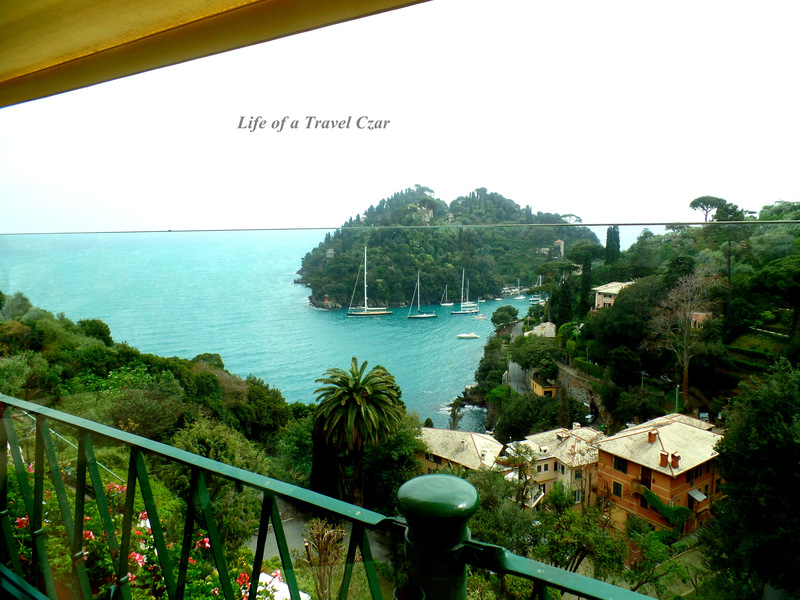 The location for a splendid lunch overlooking the Bay of Portofino is a spectacular hotel perched on the cliffs of the town of Portofino – Hotel Splendido. 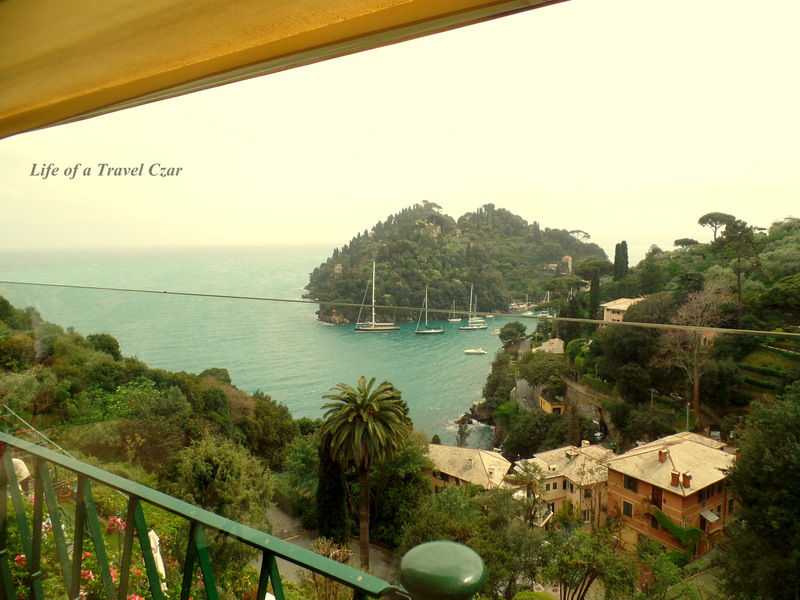 This is picture of the hotel from the boat on the way into Portofino (its the highest building in the picture). I get there early and decide to have Aperol Spirtz Royale overlooking the bay. 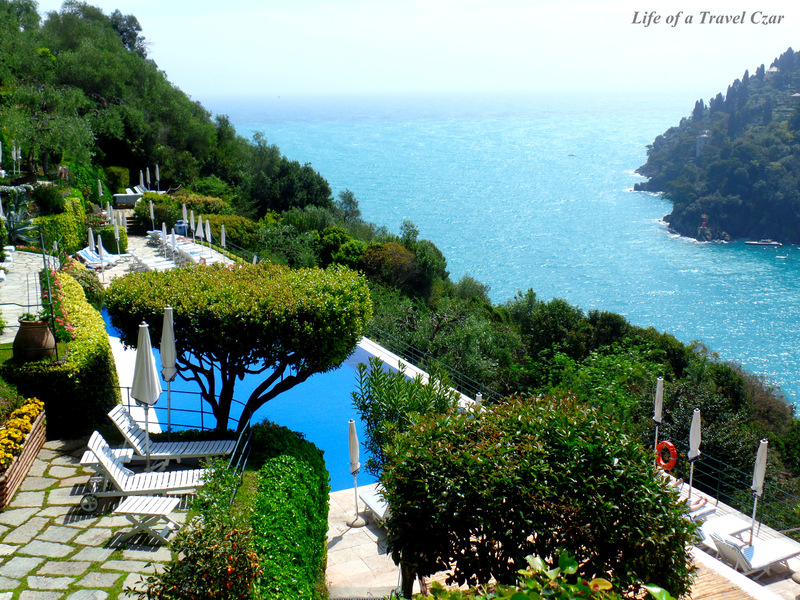 It is such an amazing view that I totally get lost in the beauty of the crystal blue waters, the lush green vegetation hanging on the Riviera cliffs and the blue skies which provide the perfect backdrop. 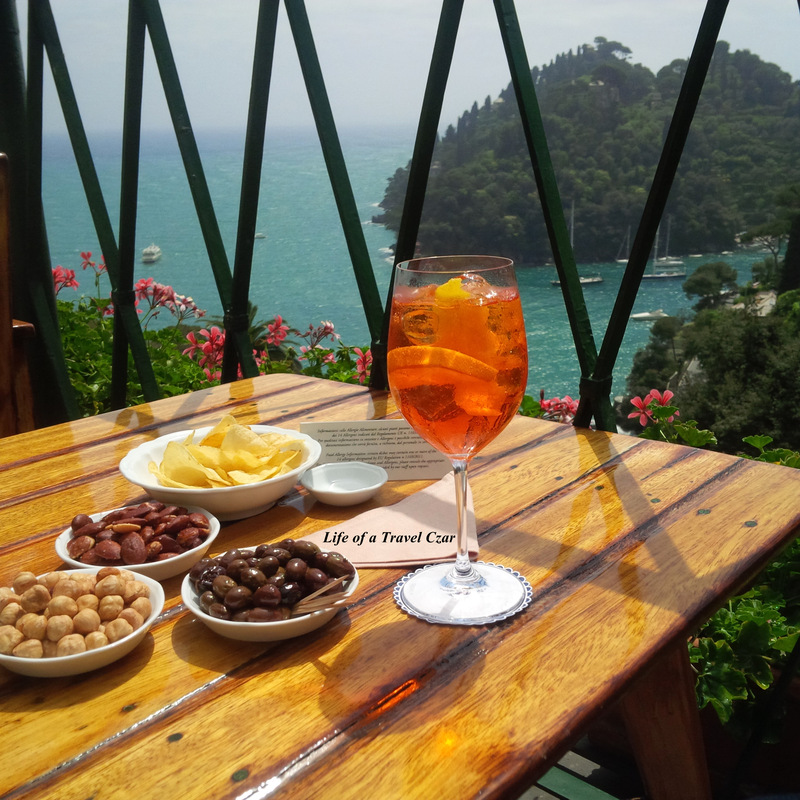 The Spritz is refreshing and the perfect pair to this sunny afternoon. There are some nibbles provided, with a special note to the salted roast almonds – they were simply amazing. I am seated at my table and this is the view over Portofino Bay from the table. It is simply spectacular. 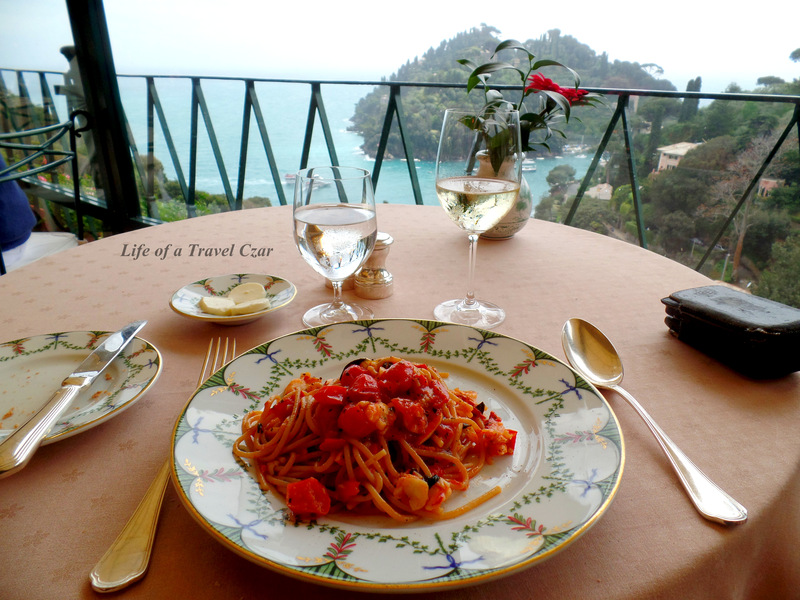 The dish has three main streams; the beautiful, rich sweet juicy tomato sauce, the spaghetti (which is done al-dente) which holds it all together and of course the sweet succulent lobster meat which is a showcase of locally caught produce. Its one of those light dishes where produce shines effortlessly in the midst of limited culinary effort / technique. A beautiful dish indeed. 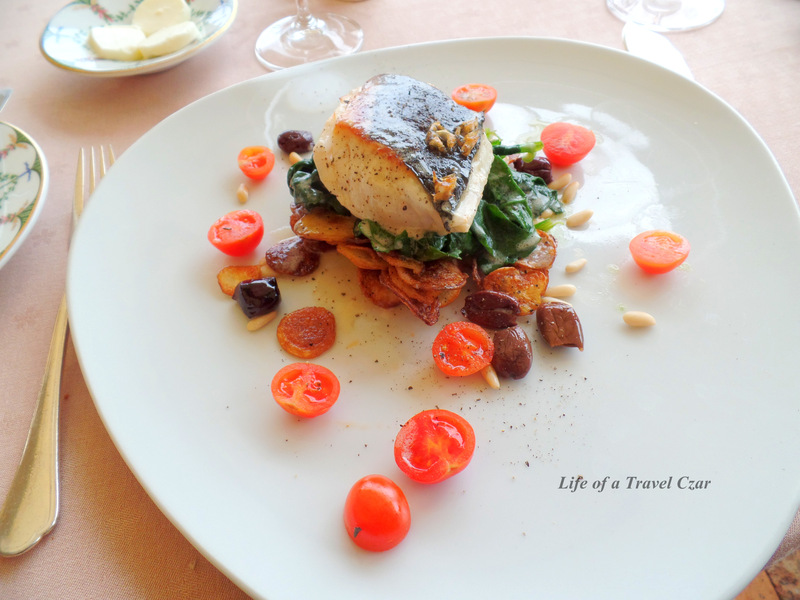 I pair both this dish and the main course with the Girolamo Dorigo, Pinot Grigio Dei Colli Orientali, Fruli (2013). The wine has beautiful intense aromas of tropical fruits which then flow onto the palate with lovely smooth velvety texture. The wine has full fruit flavours with some really good acidity to pair with the seafood. The sea bass has a delicate sweet flavour and the crispy salted skin provides a delightful texture contrast to the flaky succulent meat. 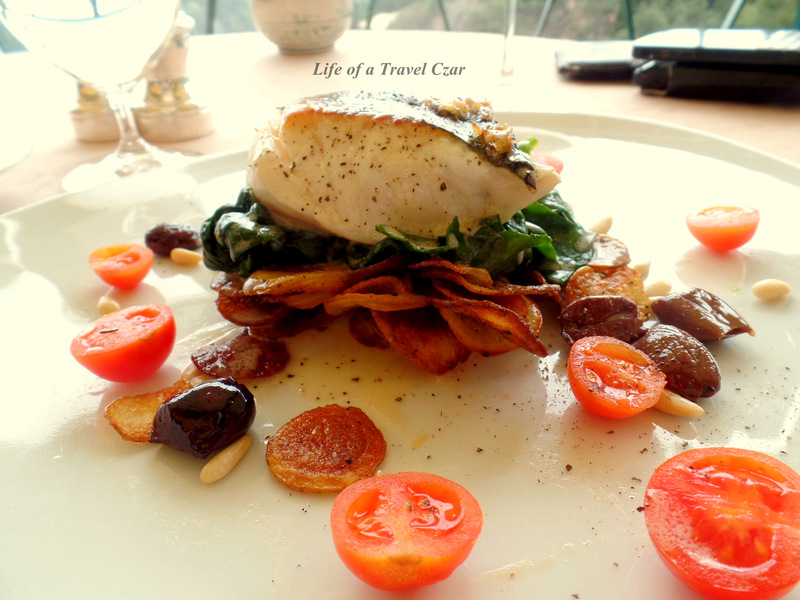 The dish is reflective of the Mediterranean; juicy ripe tomatoes, tangy olives, crunchy pinenuts, the lush soft spinach and crunchy (on the surface) / soft mashy (on the inside) baked potatoes. 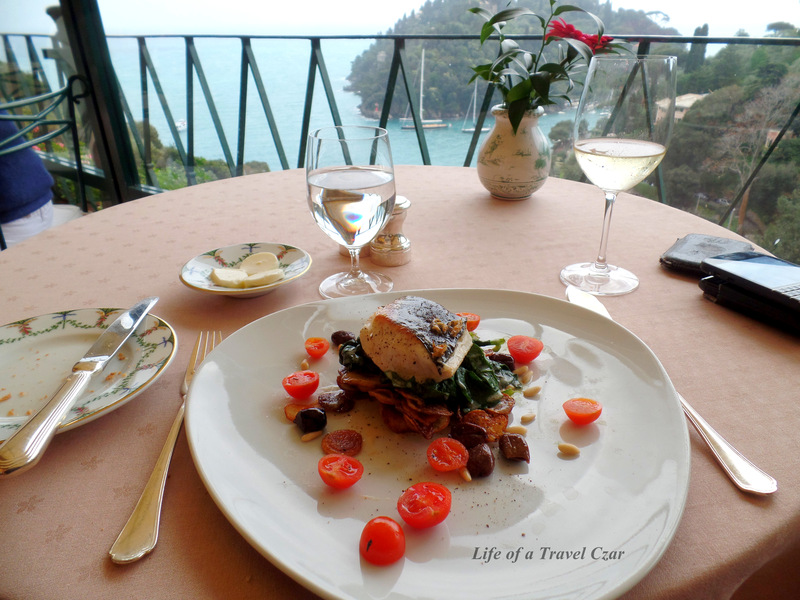 A truly fresh and flavoursome dish against a stunning backdrop. The wine has some really wonderful aromas of blackberries and blackcurrants. The aging (10 years) means the dominance of the graphite, tabacco notes of the tongue appear that the expense of the fresh fruit flavours which would have been there in the wine’s earlier years. There is still some fruit intensity as the flavours of the blackberries continue somewhat onto the palate from the notes and there is some tannin grip from the Petit Verdot. The wine has a real silky soft texture to help round-out the afternoon. I am treated with some complimentary petit fours which are lovely. I finish settling the cheque and take one last glance of the view…. which is simply breaktaking. There is a sense of endless wonder and a truly emotional connection with this place. I try absorb every part of the scenery to ensure its etched into my memory. I get the sense that when I leave a part me will remain here. 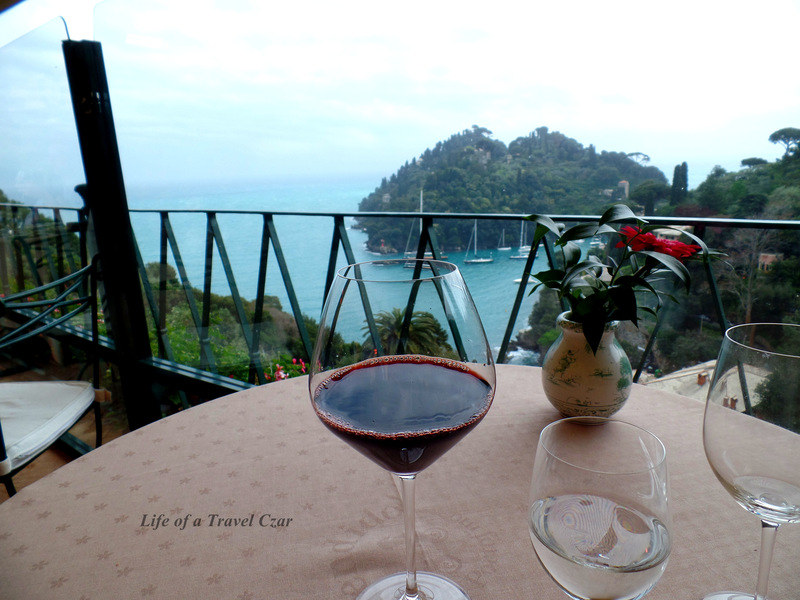 What a wonderful day and an amazing lunch… Portofino you are one beautiful place!